A new multi-media art project seeks to demonstrate the human factor in global environmental decline. There’s a countdown clock on a computer in photographer Edward Burtynsky’s Toronto studio. 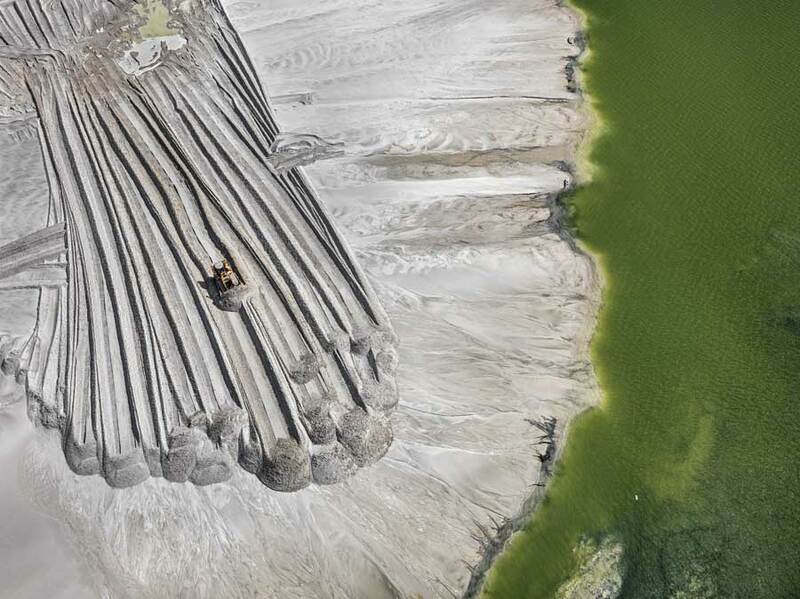 It ticks the minutes and seconds until the September unveiling of Anthropocene, the multidisciplinary collaboration between Burtynsky and filmmakers Jennifer Baichwal and Nicholas de Pencier. 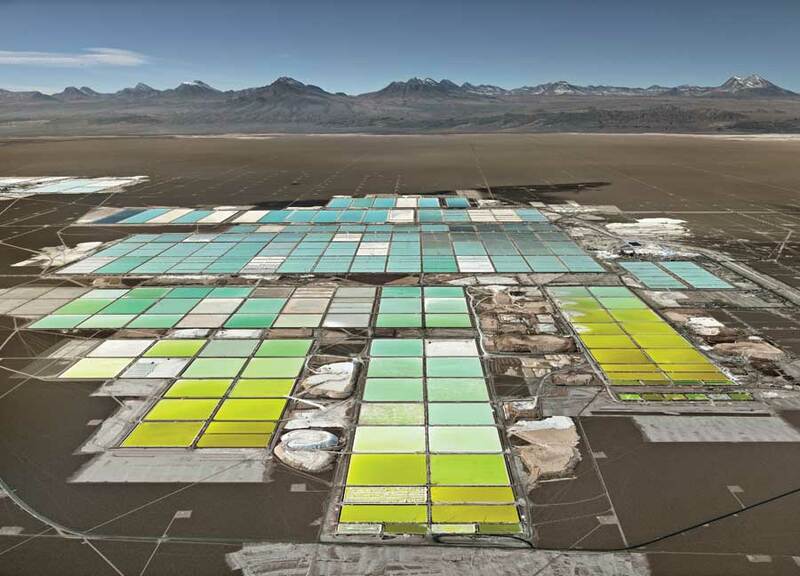 Between them, they’ve made documentaries about The Tragically Hip’s last tour (Long Time Running), Paul Bowles (Let It Come Down) and debt (based on Payback, the Margaret Atwood lecture) and Burtynsky is renowned for his awe-inspiring and often abstract images that document sites where nature meets industry. Coined in 2000 by Nobel Prize-winning atmospheric chemist Paul Crutzen, anthropocene is the new proposed name for our present geological epoch by the Anthropocene Working Group (AWC), an international group of scientists advocating to officially change it from the current designation, the holocene. The new prefix comes from anthropos (the Greek word for human) because it would distinguish it in the formal geological time scale from the last major ice age and emphasize the undeniable enormity of being the first species with a planet-scale influence. 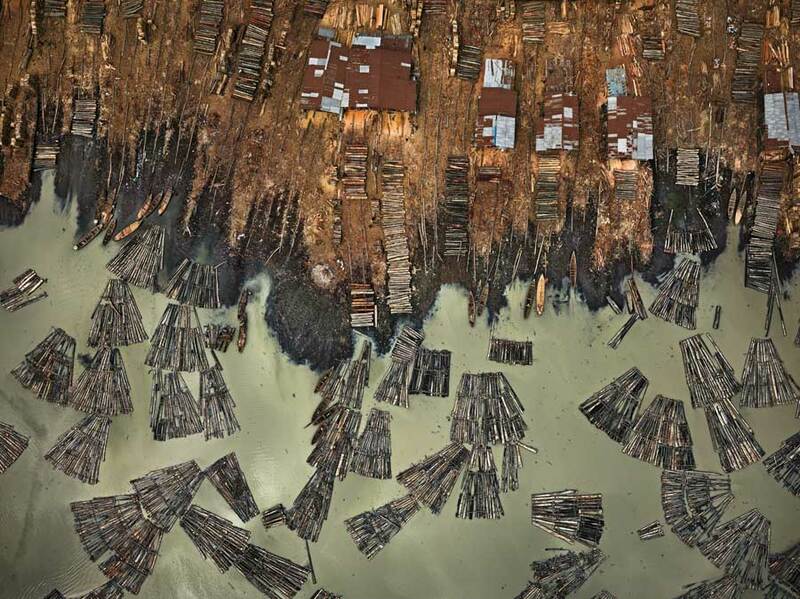 As explored by Burtynsky, Baichwal and de Pencier, the Anthropocene project combines art, film, virtual and augmented reality with scientific research to investigate the human influence on the state and future of the planet with dynamic, thought-provoking experiences of some of the planet’s most difficult locations. The exhibition portion, which includes 30 large-format Burtynsky photographs and new high-resolution murals on a massive scale, opened simultaneously at the Art Gallery of Ontario and the National Gallery of Canada in Ottawa (on Sept. 28) and will travel to Bologna next spring. Carefully packed art cartons lean along one wall on the eve of exhibition as Burtynsky oversees last details and flips through a proof of the Anthropocene book, which contains a new suite of original poems by Margaret Atwood (coming in November). At their midtown studio, filmmakers Baichwal and de Pencier have been working on sound and colour correction for the Anthropocene feature documentary ahead of its world premiere at the Toronto International Film Festival (it was recently released in theatres across Canada on Oct. 5), but the trio take a break from final preparations and gather around the bright red desk in Burtynsky’s office to talk about how the various media are all part of a piece. Between the climate crisis, altered environmental conditions and imminent threat of mass extinction it covers, the countdown clock could also easily refer to the project’s subject. But it’s an environmental equation where the modus operandi is not finger-wagging. “It’s really to get people to expand their consciousness around this. And to get outside of the established lines of discourse that are pretty entrenched around environmental issues that become political,” de Pencier says. Anthropocene is less a condemnation of humans as a planet-scale disruptive force than an experiential call to awareness about the long-term cost and consequences. He’s talking about their first collaboration 13 years ago on Manufactured Landscapes (2006) about Burtynsky’s work in China; next came Watermark (2013), the internationally acclaimed “rhapsody of environmental horror” (as one critic put it) that won the Rogers Best Canadian Film Award. 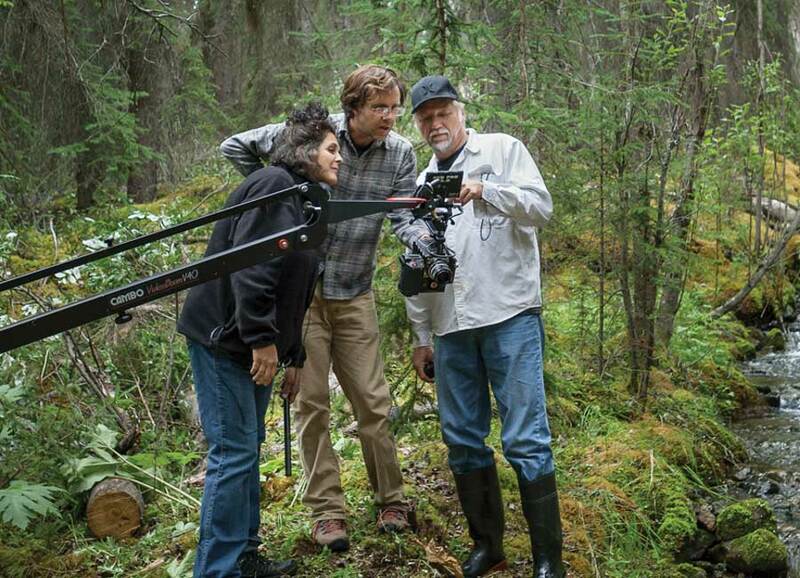 The trio’s past cinematic collaborations have made use of the latest lens and shooting techniques, like drone technology or gyro-stabilizing Cineflex cameras; they also obtained a prototype of the Google JUMP Odyssey 3-D 360-degree virtual reality camera system (with 16 radial cameras and stereoscopy algorithms for image stitching). 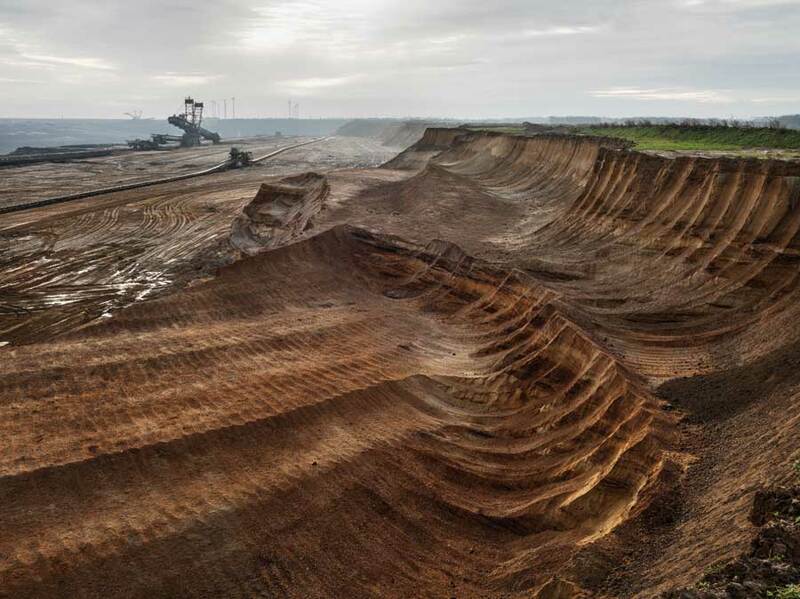 The Anthropocene exhibition extends from the medium of stills further into what Burtynsky dubs photography 3.0, or the third dimension, through gigapixel essays and borderless 360-degree films that bring the viewer and subject starkly back down to the earth. “We did a photogrammetry capture,” Burtynsky enthuses about one memorable shoot mapping an underground mine in Siberia that generated more than 20,000 high-resolution images. Once stitched together in a virtual world, they offer a complete filmic recreation of the mine. “It’s not a built world. It’s not synthetic,” de Pencier adds. “It is actually what was there.” Similarly, a detailed underwater coral wall shoot in Komodo, Indonesia, triggers video extensions of footage that de Pencier shot on Australia’s Great Barrier Reef, “that take you into another artistic reading of it.” Coral has been around for 45 million years yet could be extinct by the end of the 21st century – relatively speaking in the geological time scale, they add. Like the blink of an eye in VR goggles.